Gone were the days you get call from an unknown number and you keep on wondering about whose number it this. Until now TrueCaller was enjoying monopoly in this area. Toost is another application that has been developed allow which you to track and check other details around you. Today I am going to review this app. You can download Toost App from Google Play Store for free. Just search for Toost Caller ID and download this app in your device. It will hardly take 3-4 MB of your memory. After installing this application when you run it for first time, you have to fill in the details and need to verify your number through SMS. Once done you are ready to go. Toost UI is very simple and sleek. All things are well organized and application is divided into 3 parts viz. Search, Call Log, And Feed. This is most interesting part of this application. This one feature allow you to search multiple things. In another app like TrueCaller and other you can only search using numbers. But here you can search by three things viz. Number, Name and Business. Search by Number: Her you can just copy and paste number and if that number is registered with Toost then it will show the entire information including its location. Search by Name: By name you can the person’s name. You can check some of his details except the person’s number. This is due to security purpose. But still if you want to check you can send him /her request for the same. If that person approve the request you can check their number. 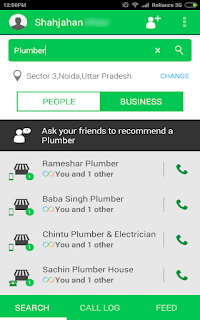 Search by Business: By Business it your know the name of the restaurant and or place where you want to go but don’t know the address, then this app will show you nearby locations of food parlor etc and you can select one nearby place around you. Not only this but you can also check its address and contact details. Call log is common thing that you can check normally in your phone too. But in toost difference is in your phone log it will show unknown number as mere number. In Toost you can check details of that number. So it is easy to check for spamming and legitimacy of unknown numbers. 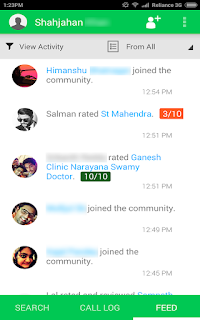 Feed is kind of social vertical of Toost app that allow you to check your friends and other Toost member activity like if your friend have rated the certain app or place etc. 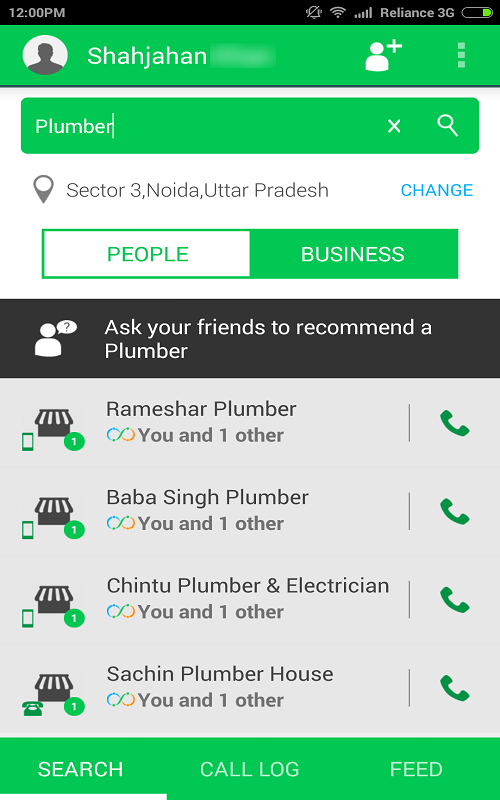 This screen also show recommendation that other Toost member or place or your friends have given to specific app or place. 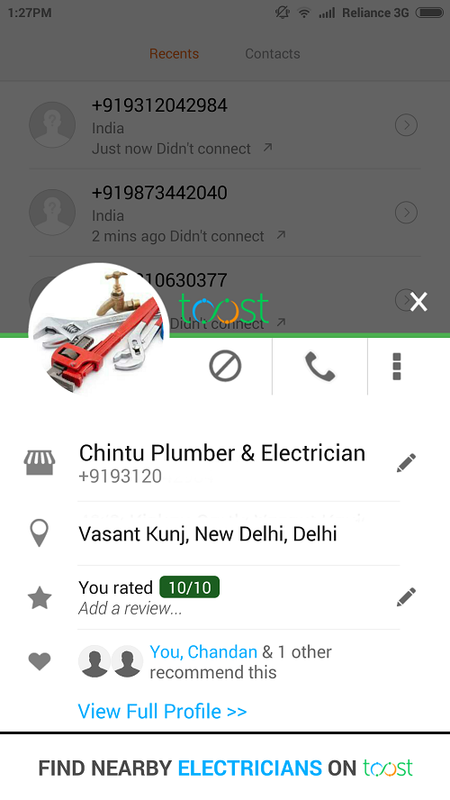 By using Toost app you can get details of unknown numbers beside you can get recommendation and check others review for particular place or app etc. This will help you to find good place if you are shifting to new place or traveling to new place. This app do not still recognize some number we have seen while testing. We hope to get it fixed soon. 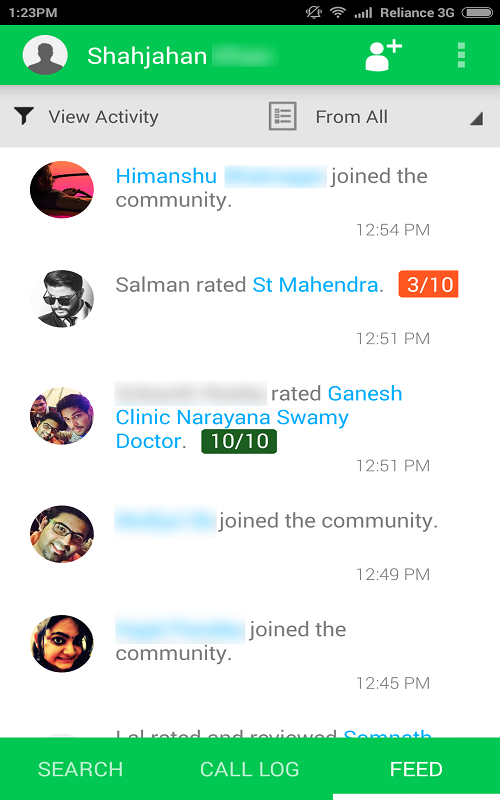 Overall app us very useful and proven to be helpful for all users. 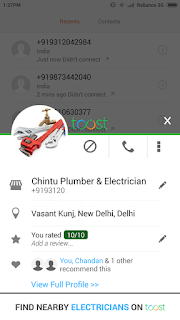 So here we are completing our review for Toost provide your feedback regarding Toost if you are using it and facing any problem in comment section below. Thanks for reading.